OVRDC held its Annual Full Commission Meeting and Election of Officers on March 18, 2016 at the UC Clermont College in Batavia, Ohio with 80 members and guests attending. Keynote speaker for the event was Dan Neff with the Appalachian Regional Commission. 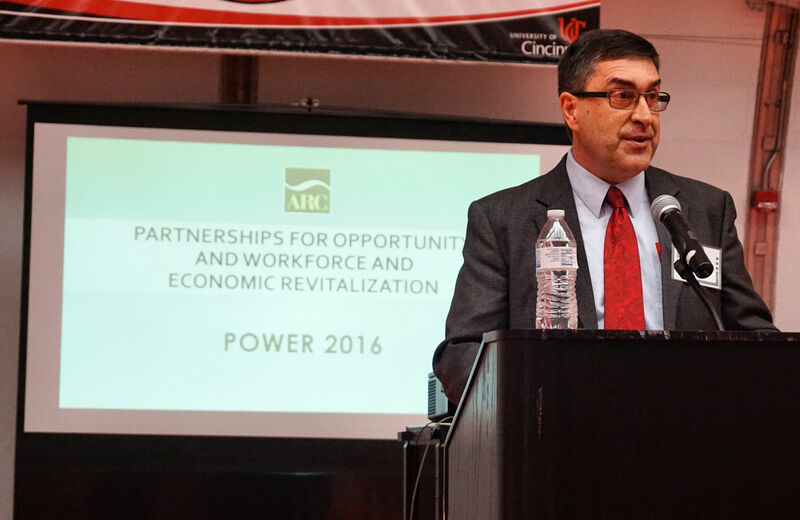 Mr Neff spoke about Partnerships for Opportunity and Workforce and Economic Revitalization (POWER). The OVRDC 2015 Annual Report was also presented to members by John Hemmings, OVRDC Executive Director. Click here to see the OVRDC 2015 Annual Report. The officers elected for 2016-2017 were Shane Wilkin, (Highland County Commissioner) Chairman; Paul Worley, (Adams County Commissioner) Vice Chairman; and Blaine Beekman, (Pike County Commissioner) Treasurer. The slate of Executive Committee Member nominations were also approved for 2016-2017. 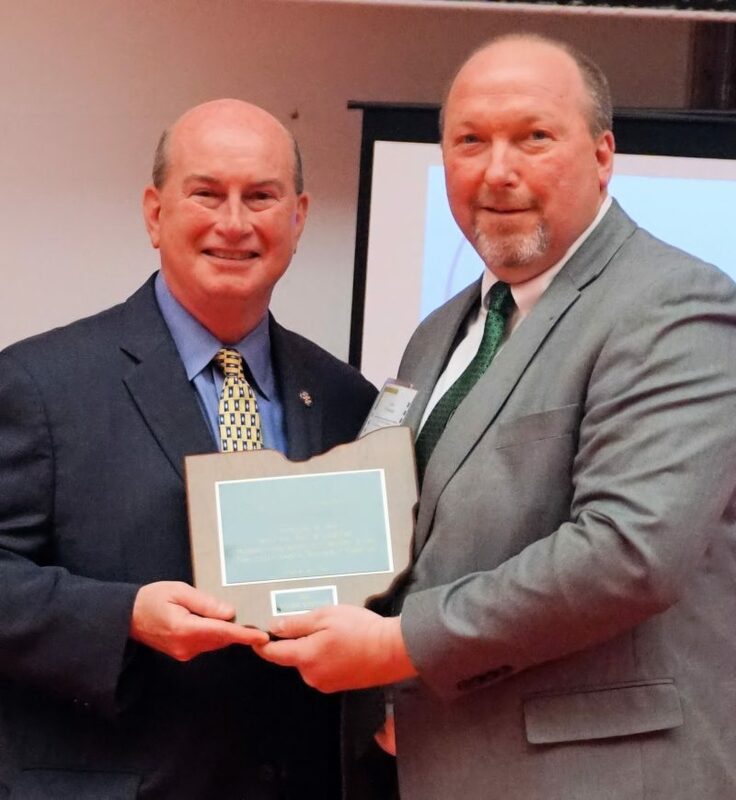 Mr. Hemmings presented Bob Proud, Clermont County Commissioner, the Outstanding Chairman Award for his 25 years of leadership, commitment and service as OVRDC Chairman. Mr. Hemmings stated at the last Executive Committee meeting in February 2016 the executive committee approved naming the OVRDC Conference room, the Robert L. Proud Conference Room in legacy of Mr. Proud and his 25 years of service. A video was shown as a “Thank You” from the OVRDC Executive Committee, Full Commission members and Committee Members and can be viewed here. The next Full Commission Appreciation Banquet will held in Pike County at the Ohio Valley Regional Development Commission in September 2016.